The word was clearly out in the NBSBL that on most nights the Fredericton Royals would have a predominantly left handed batting line up and at times could struggle against the leagues top southpaws. That was then – and this is 2015 – and these are a new look Royals team with 5 rookies and 4 players in their 2nd season. A younger, faster team – but also a team with a deep right handed line up to face the leagues top lefties. 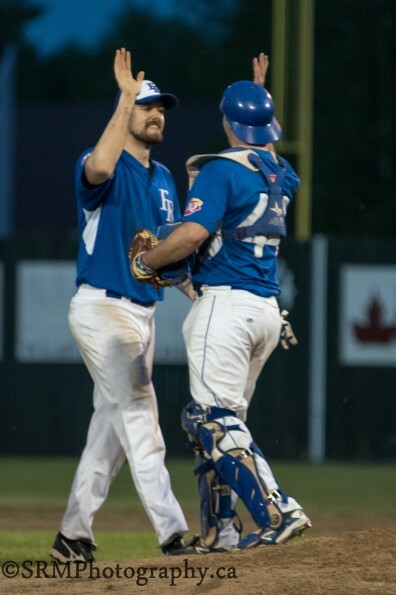 In weekend action the team faced 3 southpaws in 3 nights improving to (11-3) in wins over the Saint John Alpines 8-4 Thursday, the Chatham Ironmen 2-0 Friday and Moncton Fisher Cats by a score of 6-2 on Saturday night. The 2015 Royals now send 6 to 7 right handed sticks to the plate on any given night led by 2x Triplecrown winner Dave Barr, hard hitting right fielder Chris Sorensen – and veteran infielders Derek Wilson and Jake Waugh. New editions Aaron Johnson, a power hitting catcher and Milwaukee Brewers draft pick, STU Tommies Hockey veteran Dave Crossman at shortstop and Northern Kentucky Universities Jake Shaw at third base have given the team 3 more right handed sticks that can match up with any lefty in the league. With 14 games played the team has faced southpaws 6x already. Five of the leagues best lefties have toed the rubber versus the Royal Blue bombers and 6 times the Royals have come out on top. The team once known as weak hitting lefties has defeated Dan O’Shea (Islanders), Ben Sallows 2x (Fisher Cats), Ryan Arseneault (Alpines), Kevin Bowes (Ironmen) and Shawn O’Toole (Alpines). The halfway point of the season approaches this weekend with the team at home for 3 games. Friday night the Moncton Fisher Cats are on the hill and Saturday the Charlottetown Islanders are in town for a pair. The Islanders have surged to 2nd place – having swept 2 from the Royals last weekend in PEI. 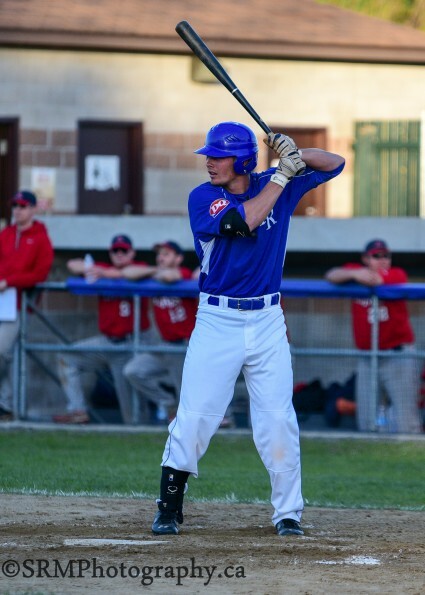 They bring a talented young line up led by pitchers Jordan Stevenson and lefty Brody MacDonald and power hitting infielder Dylan Doucette who paces the senior circuit in Home Runs and RBI’s, trailing only Royals DH Jody Peterson in batting average for the Triplecrown.